Nonprofit and government organizations have a long history of working together to address social issues and deliver publicly funded programs and services. They often share the same mission and goals and offer each other valuable resources. Essentially, government agencies frequently allocate financial resources to nonprofits that help address local community needs, while nonprofits tend to be more narrowly focused and allow government agencies greater flexibility and reach to address specific issues or target populations. So, when governments suffer it can be expected that nonprofit organizations will suffer as well. Federal funding cuts mean that many state and local governments are currently facing, or will potentially have to address, budget shortfalls. Naturally, budget shortfalls limit what state and local agencies are able to do. Most public agencies or programs that receive federal funding already get little or no federal money to cover administrative expenses. Therefore, when experiencing uncertainty or declining revenues, state and local government agencies that provide financial support to nonprofits may significantly reduce funding, in turn requiring nonprofits take on more responsibilities with fewer resources. This is especially alarming to nonprofits in that the sector has experienced a slow recovery from the Great Recession. As many nonprofits are finally able to restore their finances and operations to their pre-recession state, the sector must now brace for another crisis of its own as crucial resources may soon become scarce once again. When thinking about the lingering effects of the most recent recession and the length of time it has taken the sector to recover from the downturn, the stakes are high for nonprofits to overcome the severe government funding cuts that are on the horizon. Government fiscal and resource barriers place significant constraints on nonprofit operations and can ultimately weaken a nonprofit’s financial stability. To increase the chances of surviving government funding cuts, nonprofit organizations should continually seek new funding sources and have diverse revenue streams. Numerous studies have shown that revenue concentration can increase a nonprofit’s financial vulnerability, and that nonprofits with diverse revenue streams are more likely to survive. Yet, many nonprofit organizations continue to make the mistake of relying on a single revenue source. Health and human services nonprofits tend to rely heavily on government funds and less on diverse fundraising efforts. Fundamentally, having diverse sources of revenue and holding net reserves provides more independence and financial security for an organization. However, diversifying funding sources may require nonprofits to think and manage differently. Below are two strategies to help nonprofits do more with less while working to diversify their funding sources. Have engaged, competent and effective leadership on the board. Taking steps to strengthen the knowledge and functioning of boards is critical. 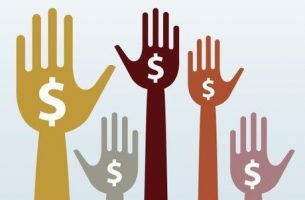 For example, a nonprofit’s board of directors needs to be prepared to fundraise by providing financial support and connections to donors and potential funders. Nevertheless, way too often board members do not know how to fundraise or are not aware that being on a board requires responsibilities and expectations for fund raising. Now is the time to educate the board on changes in the funding environment, emphasizing how significant reductions in government funding may call for the board to adjust their roles and increase their level of engagement in fundraising events and activities. If board members do not have fundraising skills, then this could be a good opportunity to provide training, determine board composition needs, make changes if needed, and strategically target new board members from certain industries (e.g., banking, philanthropy, financial or corporate) to fill board positions that reflect the needs of the organization. Having the right board composition can facilitate the acquisition of new financial resources by extending a nonprofit’s outreach and enhancing the nonprofit’s image and reputation within the community. Plus, new board members could be instrumental in establishing partnerships, collaborations and other working relationships that advance the goals of the organization. Place strong emphasis on forming strategic, successful and mutually beneficial external relationships. Nonprofit organizations often work in collaboration with one another, but when economic times become tough and resources grow scarce, partnering and collaborating with other community players becomes even more critical. Nonprofit leaders view collaborations to cope with environmental change and resource constraints. Funders often urge nonprofits to collaborate with one another to expand the reach and impact of their dollars. Indeed, studies have shown organizations that endeavor to broaden their external focus and connections are more likely to secure new sources of revenue and obtain new donors and funders. The hardships experienced by state and local governments place huge constraints on nonprofit operations nationwide. Instead of waiting to see what will happen, the widespread uncertainty among nonprofits is a call to action for nonprofits to think differently, get creative and proactively find new ways to diversify and secure financial resources needed to survive.